The survey may be pre-purchase, insurance, valuation, damage or repair. The surveyor will be expected to comment on the condition of the vessel and the current condition of the hull. The report must of course bring to the attention of the instructing client any defects found and also problems that the surveyor considers may arise in service. It can be a daunting task to climb aboard a strange vessel and attempt to discover all the problems. This surveying module is based on a non-destructive examination; only portable structure is removed for access and the surveyor does not dismantle equipment unless this has been specifically agreed. The surveyor examines the structure for general appearance and the condition of the paintwork; to detect what is not right, the surveyor has to have good working knowledge of what is correct. This comes from experience, normally gained prior to becoming a surveyor, from a previous background in the building or repair of vessels. 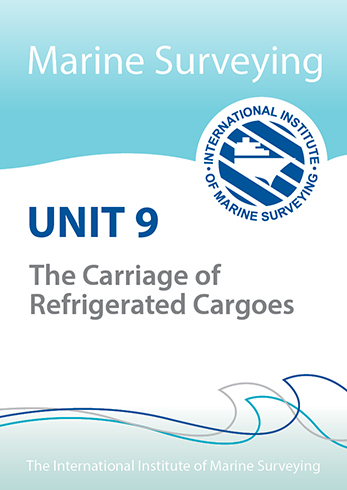 Otherwise the knowledge must be gained from extensive research of vessels built by various methods in as many different materials as possible. The vessel may be afloat and the survey would as a result be restricted, but it is more usual to insist that the vessel is lifted out for survey. 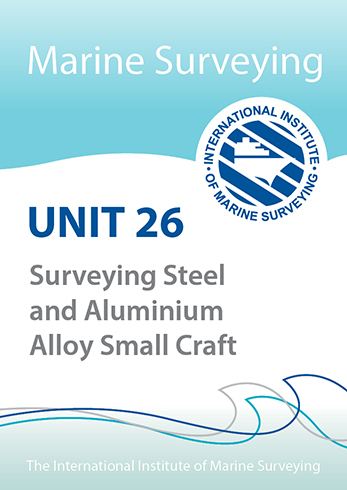 Most surveys are conducted by an individual surveyor, who is expected to inspect a vessel of up to about 20 metres working alone, during which he would not only examine the hull and structure, but also inspect the mechanical installations, check the systems, and may also conduct a short sea-trial, all within a working day. It can be very hard work, especially as designers and builders are reluctant to give access to the structure internally.